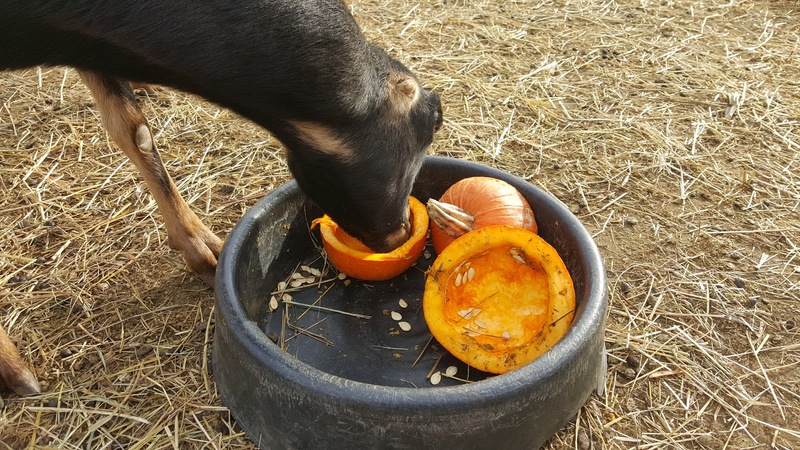 Now that Thanksgiving has passed and it is officially December, it's time to clear out the collection of pumpkins. 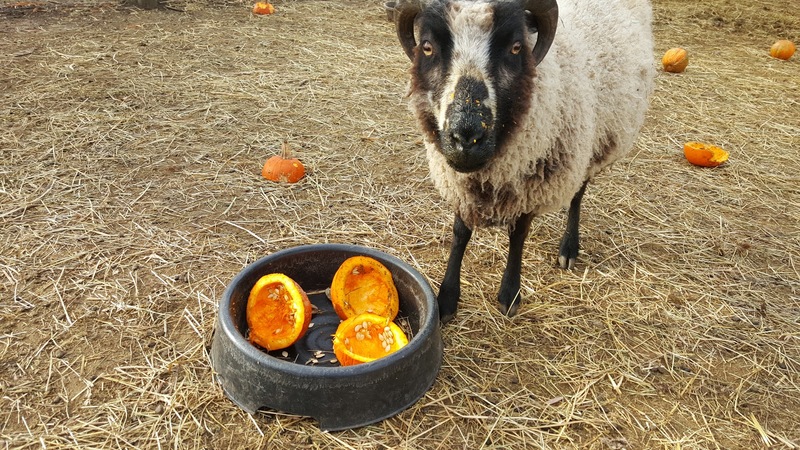 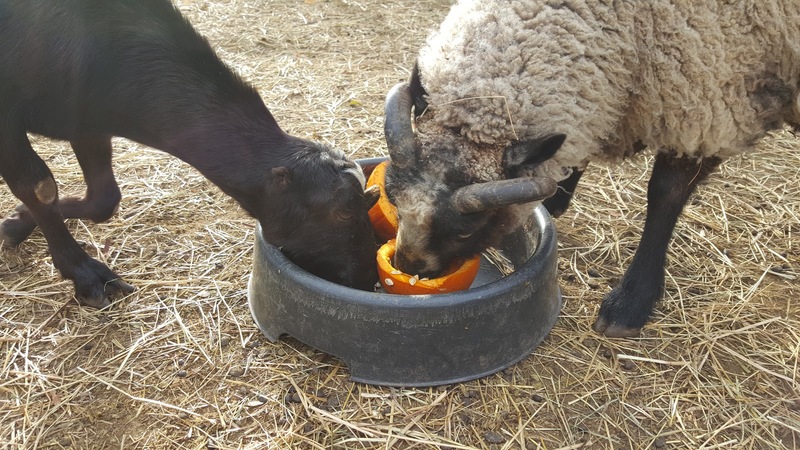 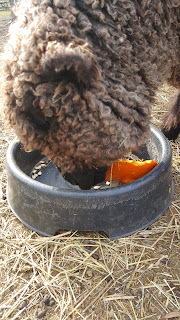 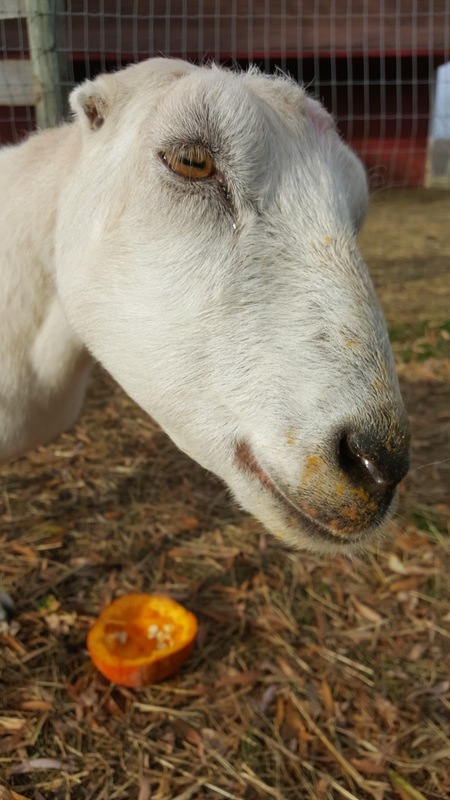 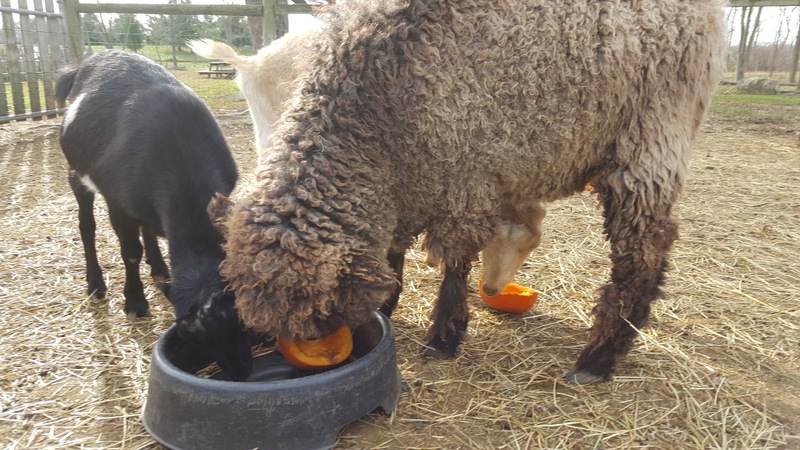 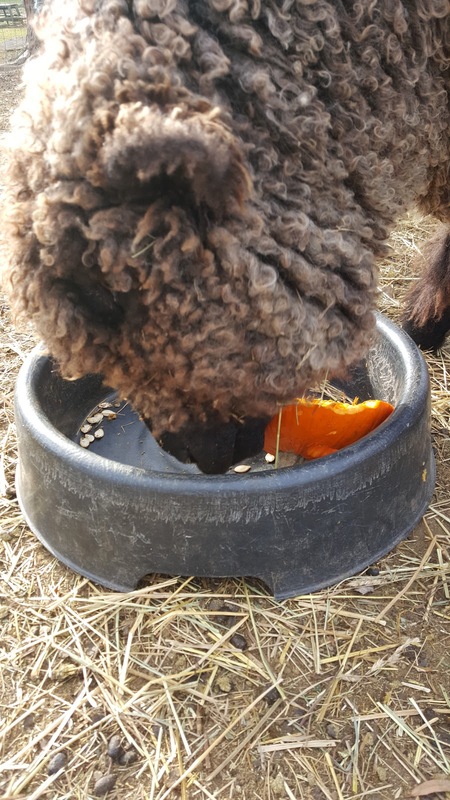 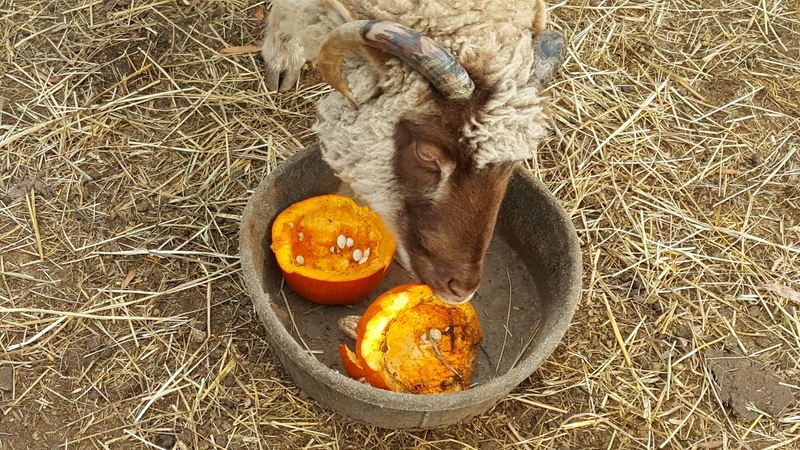 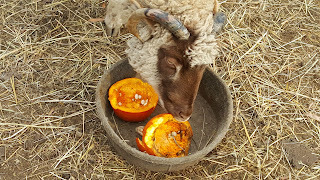 Sweat Pea loves to snack on pumpkins! Wilmington is one of my favorites and loves to play hugs and scratches but not at pumpkin eating time. I was explaining to Cole that he had some pumpkin on his face......I think he was annoyed that I was interrupting his pumpkin snacks.